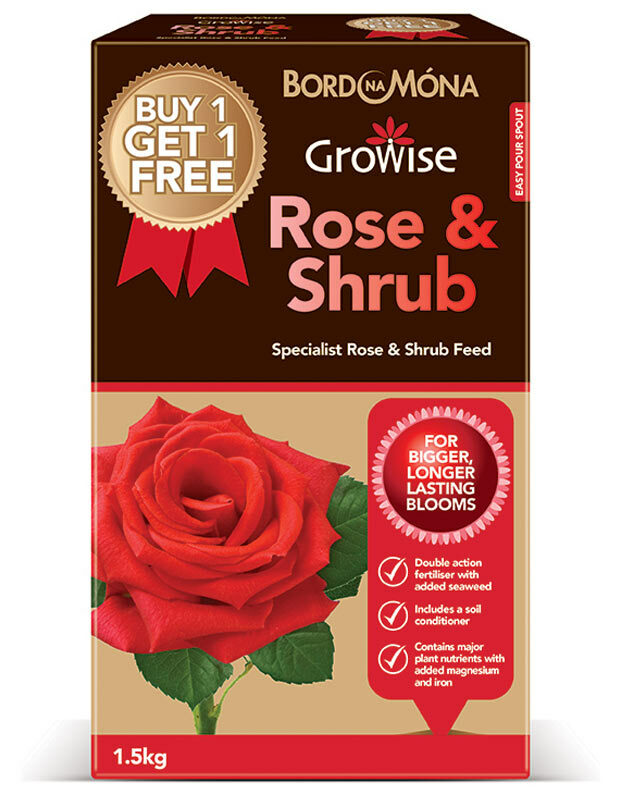 Bord Na Móna Growise Rose and Shrub feed is a superior, fast-acting, easy-to-use granular fertiliser which contains all three plant-essential major nutrients, as well as magnesium, iron and seaweed. Nitrogen – encourages vigorous growth. 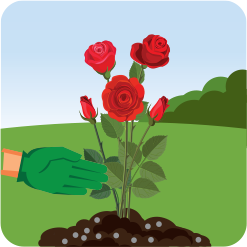 Potassium – helps promote big, long-lasting blooms. 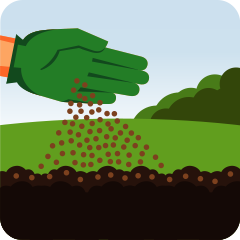 Phosphorus – essential for root growth, healthy stems, leaves and flowers. Magnesium – boosts photosynthesis and produces healthy, green foliage. 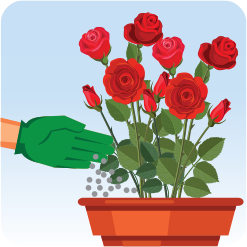 Iron sulphate – helps reduce the pH of alkaline soils, encouraging the healthy growth and flowering of roses and other shrubs. Scatter on the surface, working lightly into the surface. Apply from spring, with subsequent applications at least 6 weeks apart. Follow recommended application use, and only use when there is a recognised need.